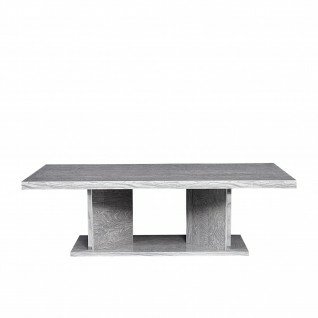 Ventura Italian Coffee Table is crafted with a Gray Birch finish with UV treated high gloss clear lacquer. 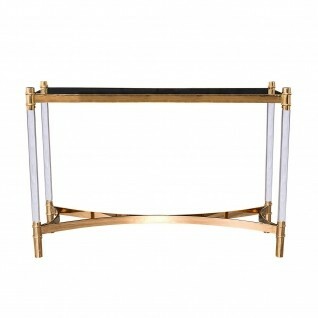 Alveare Silver Console Table has a rose gold polished stainless steel base with black marble top. 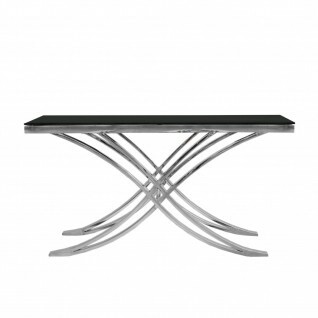 Alverare Silver Console Table has a silver polished stainless steel base with black marble top. Valora Silver Console Table features a polished stainless steel base with black tempered glass top. Lorensia Large Rose Gold Console Table features a silver polished stainless steel base with two different tops, with black glass and white marble. Also Available in small Size. Lorensia Large Silver Console Table features a silver polished stainless steel base with two different tops, with black glass and white marble. 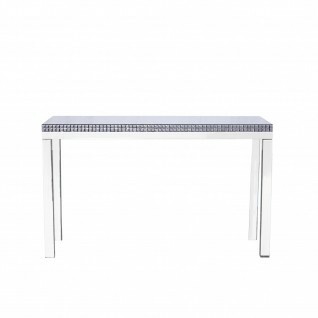 Prisco Luxury Console Table features 15mm tempered glass top with silver polished stainless-steel base. 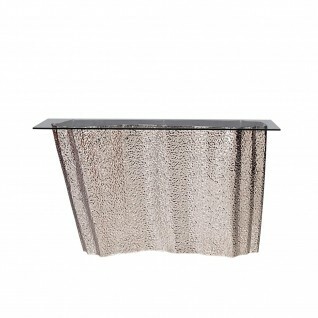 Lorensia Rose Gold Console Table features a silver polished stainless steel base with black tempered glass top. Also Available in large Size. 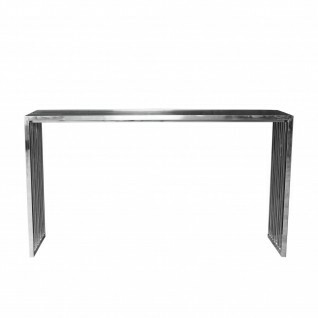 Lorensia Silver Console Table features a silver polished stainless steel base with black tempered glass top. Also Available in large Size. Vittoria Modern Console Table features a 12mm black tempered glass top and a stylish V shape base with silver brushed stainless steel and painted steel combination with a black painted base. Mauris Luxury Console Table features rose gold polished stainless-steel base, black glass top and drawer with side shelves. 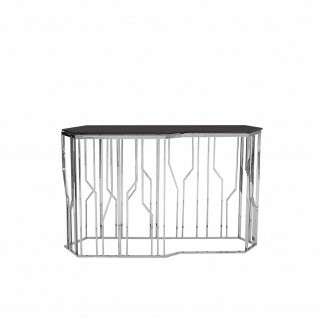 Mauris Luxury Console Table features silver polished stainless-steel base, black glass top and drawer with side shelves. 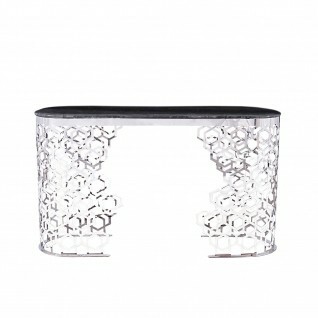 Glacier Luxury Console Table features hammered silver polished stainless-steel base and 15mm tempered clear glass top. 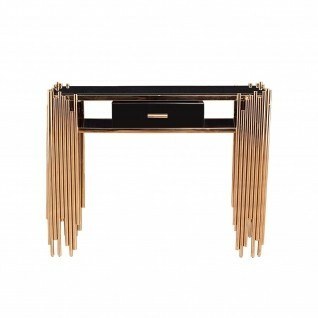 Varossi Luxury Console Table has black glass top and rose gold polished stainless-steel base with clear lucite base connections. 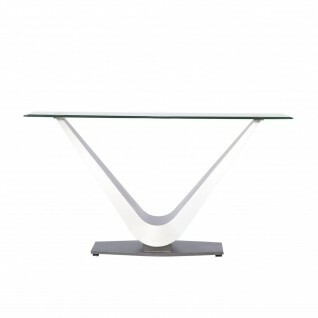 Varossi Luxury Console Table has black glass top and silver polished stainless-steel base with clear lucite base connections. 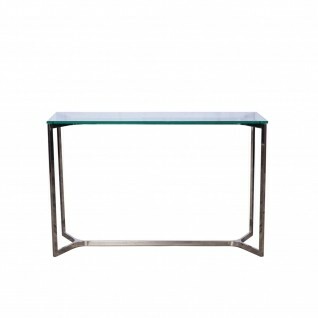 Maya Console Table features a polished stainless steel base with a clear 15mm tempered glass top. 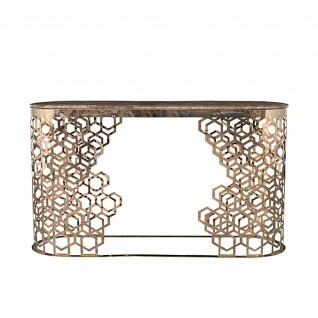 Onyx Rose Gold Luxury Console Table features rose gold stainless steel base, with 3 different tops. Black Glass, High Gloss lacquered white and brown maple tops are available. 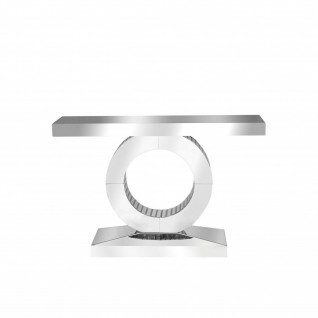 Onyx Silver Luxury Console Table features silver stainless steel base, with 3 different tops. Black Glass, High Gloss lacquered white and brown maple tops are available. 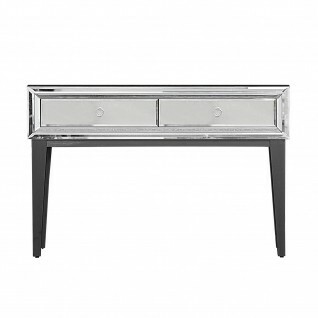 Beverly Glam Console Table features clear mirrored top and frame, black painted solid wood legs. It has two drawers with polished s. steel handles. 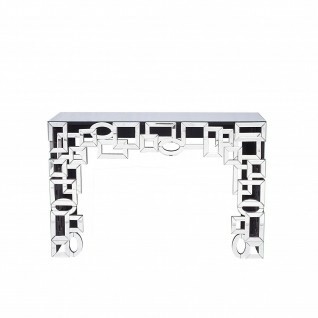 Coco Mirrored Console Table with an elegant round mirrored base features individually beveled mirrored pieces adding sophistication to this console. Glam Mirrored Console Table features four mirrored legs with a clear mirror top and sides with smoked glass details that add a touch of glamour. 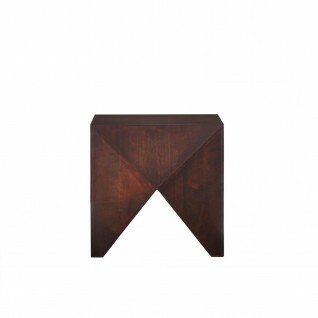 Nino Console Table features a combination of geometric shapes finished with beveled mirror pieces. This console features a clear mirrored top. Aliosso High End Console Table has brown walnut and white high gloss lacquered top variations and base finish with silver polished stainless-steel details.